At COP24 in Katowice. Poland, world leaders were urged to take action and listen to the wake-up call in the IPCC’s 1.5°C report. At the end of two intense weeks of climate negotiations, governments adopted a set of guidelines for implementing the landmark 2015 Paris Climate Change Agreement, which will enter into force in 2020. With its strong presence in a wide-range of events and echoing the 1.5°C report core message, Mission Innovation (MI) contributed to keeping innovation high on the political agenda, stressing the importance of clean energy innovation in achieving the Paris Agreement’s goals. This year MI celebrates its third anniversary since its launch at COP21 in Paris. 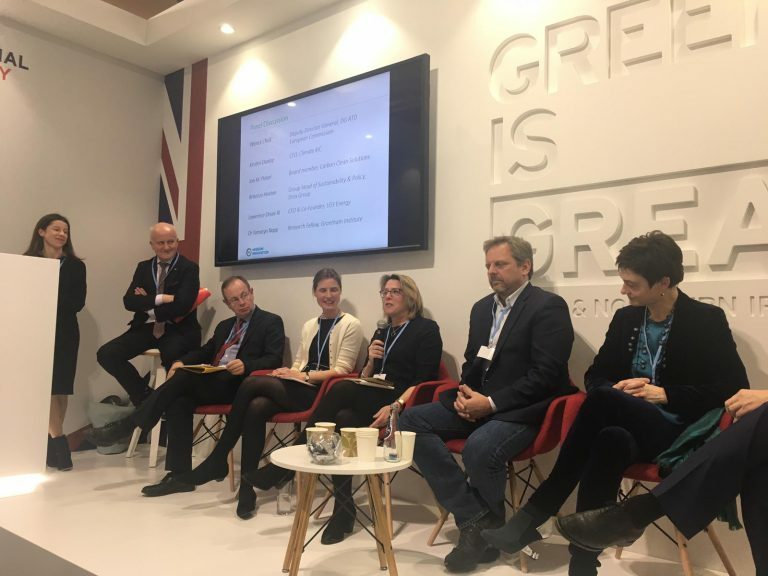 To mark this anniversary MI, in collaboration with the UK, organised a side event at COP24 called Mission Innovation and the role of clean energy innovation in pursuing efforts towards 1.5°C. The panel discussion focused on the role of international clean energy innovation in pursuing efforts towards 1.5°C. It also highlighted achievements and progress of the public sector through MI, exploring how to support disruptive solutions and catalyse new business models that have the potential to significantly reduce and avoid carbon emissions. In addition to contributing to this discussion, Patrick Child represented MI at a range of high-level side events. At the World Climate Summit – The investment COP he emphasised the importance of public-private partnerships and the EU’s growing portfolio of instruments to support clean energy innovation, including the recent agreement with Bill Gates on the intention to launch the Breakthrough Energy Europe fund. The growing importance of the role of cites in the debate on climate change and of place-based research and innovation emerged during COP24. Patrick Child participated in the CitiesIPCC event and the European Green Capital Network to celebrate the success of the European Green Capital Award and the decision by the city of Katowice to join the Global Covenant of Mayors. This was a natural follow-up to the collaboration started at MI-3 in Malmo, where for the first time the city dimension of clean energy innovation was recognised. One of the COP24 major announcements was from the C40 Cities coalition, which includes cities across the globe. They announced the intention to work with the IPCC to identify how the 1.5°C report can apply to climate actions in cities. In addition, the UK announced that it is bidding to host the 2020 UN Climate Summit (COP26), which is due to be held in late 2020 and is expected to see the Paris Agreement come into full effect. The “Katowice package” includes guidelines on how countries can provide information about domestic actions, the so-called Nationally Determined Contributions (NDCs). This information includes mitigation and adaptation measures as well as details of financial support for climate action in developing countries.